I’m so excited to share the book trailer for The Girl Who Ignored Ghosts! We started working on this in February. I wrote the script, Cacko Studios produced the video, and Leah Merritt is the fantastic actress who brought Kat to life. It’s funny how much time and effort goes into a 1 minute and 40 second video. I’m really happy with how it turned out! Many thanks to Leah and Frank for all their hard work on the video! I’m finalizing conference workshop proposals for next years NESCBWI. They get submitted July 1. I’m fine tuning a workshop for teens “Finding your Story: How to Turn your Idea into a Story” on August 24th from 7 p.m.-9 p.m. for the Elting Memorial Library in New Paltz, NY. 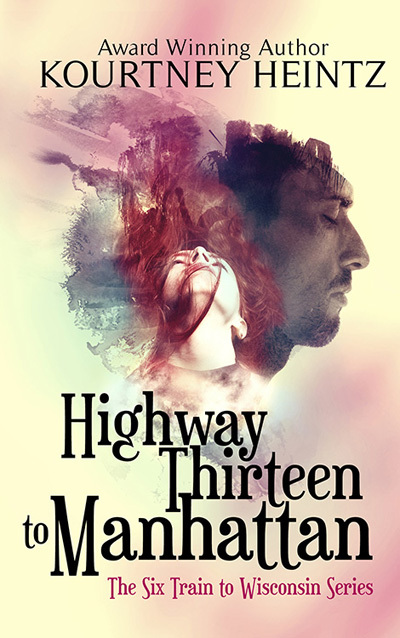 I’m still working on all the blog posts for the blog tour. I’ve been tackling 4-5 a week. For The Girl Who Ignored Ghosts sequel, I’ve been writing 2k a day and am at 160 pages. I’m having trouble researching the time period that they travel back to–it’s 1831 Vienna. Have been doing research online and at the library. I need really specific stuff like what the streets looked and sounded like or what sort of places someone would stay at. Lots of times, I just throw a comment down to figure this out later, because I’m in a rough draft and I’m not sure this will stay yet. Things are very fluid and change so much when you draft fast. It doesn’t make sense to spend a ton of time on research until I’m certain a scene will stay in the book. There are only 2 weeks left to the Tell Me Your Ghost Story Contest–make sure to get your entries in! 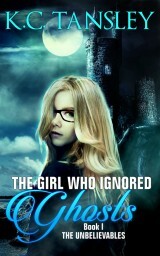 I have a couple Goodreads giveaways going on right now for The Girl Who Ignored Ghosts. The are open to any country in the world. I can’t believe The Girl Who Ignored Ghosts is coming out in 4 weeks. I’ve been preparing for this since March. Back then it seemed so far away. And now we are just 4 weeks until the release. I’m excited. I’m nervous. I’m hopeful. I’m scared. I’m really hoping sales are good. But I also know how hard it is for a book to get noticed and probability is not on my side. I’m trying to be cautiously optimistic. But I don’t want to get my hopes smashed. I want my book to be beloved by readers. And deep down, I want this to be a hot summer release. But at the same time I know how tiny a chance there is for that. So I just try my best and keep putting energy into promotion. Even when I have those moments where I’m not sure any of it will pay off. It’s like the lotto, you can’t win if you don’t play. So I keep trying. And in 4 weeks, we’ll see what happens. Gulp. This entry was posted in Conferences, Contest, Events, Giveaways and tagged book trailer for The Girl Who Ignored Ghosts, goodreads giveaways, release date, self doubt, Tell Me Your Ghost Story Contest, the girl who ignored ghosts, The GIrl Who Ignored Ghosts sequel, workshop proposals. Bookmark the permalink. you know ur cat has a beauty blog now right ? Aw thank you. It’s just hard to look around and see all the money big publishers can put behind their authors. I can’t compete on that level and I know all those expensive splashy ads probably help promote books. It’s here, I’m just having some self doubt. I believe in the book, but it’s like the music industry, you can create something great and no one notices it. 🙂 Oh wow. Very cool. I’ll do my best to tackle the self doubt. 🙂 Hugs! i love to read xo so …….. Thanks. 🙂 LOL. You do it all–that’s just what you do! 🙂 Thanks. I appreciate the words of encouragement. They help. Hugs! I wish you all the luck in the world for the release 4 weeks hence Kourtney. I hope it’s the hit of the Summer. Thank you so much David. From your lips to the universe’s ears. 🙂 Hugs! Love the trailer. I’m intrigued… and scared to find out the truth. Well done. You’re giving this book/project your all and it shows. I hope you’re resting up for that blog tour. I imagine it takes a lot of mental energy! Love the trailer. Four weeks. Wow. Early on, it seems the release day will never get here, and then before you know it, voila, it’s arrived. Good luck! I wish. But there is no time. I build in daily workouts and quieter social media days, but I’ve got to be on for a while. So many things have to get done before August 1! I figure I’ll take a social media rest in the winter. 🙂 Yes, that’s exactly how it feels. At first, it’s what can I do? And then a few months later, it’s um so when do I get a break? And then it’s where do I get the energy to keep this up? But you’re right. I have to build in moments of me time in this marathon of promo stuff. I get really tired out each week. I have to have some quiet time. 🙂 It helps me clear my mind and come back energized. 🙂 It truly is. Trailers are like haiku: so much told in such little space. Excellent!!! This ought to really grab people. I’m on the edge of my seat. I admire all of your hard work, Miss K. I really love the trailer. Good luck. Thanks Lori. 🙂 It was another one of my side projects. It’s really awesome to see how it all came together. 🙂 Thank you! 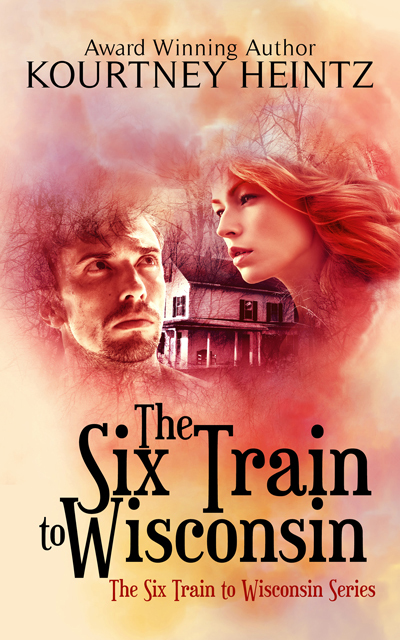 What great fun, seeing a trailer for the next book! (I really like Kevin MacLeod, too; his work made up half of my novel writing playlist!) It’s great to be able to share a cover blurb or synopsis, but video adds a whole new level of information and interaction. Congratulations on a successful project! I still need to narrow down my ghost story. D: I’m determined to make it, though. I’ll make sure to share the contest again, too. You call March “back then,” but you’ve been kicking *** since then and beyond. You’re really an inspiration to the rest of us. I do empathize with the sequel research, though – I know how it feels to get lost in a research topic, especially if it’s engrossing. But it sounds like you’ve got a solid practice and balance worked out. Thanks. I really felt like we needed more of a movie feel for this one. 🙂 It was a lot of work, but I really love how it turned out. Yay! I really appreciate it. Haven’t gotten any new submissions in a bit. Hoping to get a few more in the next 14 days. It feels so long ago. And things just keep speeding up each week. Aw, thanks. I’ve been feeling so nervous about the launch. I realized it’s sorta like planning a wedding. You want everything to come together for this perfect moment and you get jitters. I was really frustrated with the research, but I think it was because I didn’t realize that I can work with what I’ve got. I’ve got the fashion research done. I need some city research on Vienna in 1831. Online, I pulled 9 travel books from the 1800s. Just waiting for them to come in to my library. I love learning about a place. But starting always feels overwhelming. LOL. Or I’m photocopying books on fashion at 1 am. Weirdly a lot happens after midnight here. Aw thank you! I can’t wait to hear what you think! wow! I’m impressed. I know what you mean by wanting it to be a success but worried it won’t be noticed. This sounds like an exciting read. Best of luck! Thanks TB. There are so many great books coming out with much bigger marketing budgets. Sometimes it feels like I’m whispering in Time Square. But all I can do is try. Thank you! 🙂 Best of luck to you too with your new release in July! Mid-August is great for me. How about a guest blog? That way you can write anything you want to draw attention to. Really exciting trailer Koutney, definitely makes me want to read the book – an exciting time overall, hope it goes very well. I’m not sure what’s going on with my wordpress account lately, but I haven’t received email notification of any of these last three posts! Must check into that today. Anyway, the trailer is fantastic! I hope the drafting is still going well! Uh-oh. That’s annoying. 🙂 Thanks. It is. I’ve laid down the first 200 pages. Right now, I’m doing a quick edit of those pages and then I’ll laying down the last 100 pages. It’s been tiring drafting 10-12 pages every day, but it’s amazing to see 54,000 words written in 4 weeks. I never knew I could write this fast.